There may still be a few days left for the Mahindra XUV300 to hit the showroom floors across the country, but this brand new compact SUV seems to have caught the attention of the masses already. According to Mahindra, their dealers have received over 4,000 bookings and there have been 60,000 customer enquiries for the XUV300 so far. Since we've already driven the XUV300, we can tell you that the hype around it is well justified. 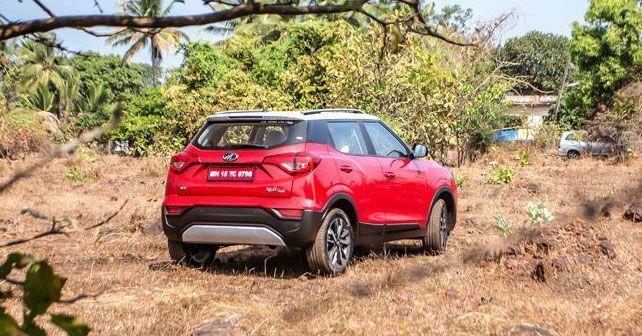 The XUV300 ticks all the right boxes, and we're hoping that Mahindra will get its pricing spot on as well. In fact, if they manage to undercut or match its rivals' pricing - the Maruti Suzuki Vitara Brezza and Ford EcoSport - the XUV300 will definitely have a lot of takers and it will easily eat into the sales of these established names. Upon its launch on February 14, the XUV300 will be offered with two powertrain options - a 1.2-litre three-cylinder turbo petrol and a 1.5-litre four-cylinder turbo diesel. Both the engines are paired with a six-speed manual gearbox. There's no automatic transmission on offer. The Mahindra XUV300 is loaded with features and comes with some segment firsts such as front parking sensors, 7 airbags, dual-zone air conditioning, three steering modes, et al. There will be a total of 8 variants - 4 each for petrol and diesel versions. As for the price, we're expecting it to carry a price-tag ranging between Rs 8-12 lakh.